That’s a really dramatic angle! She looks scary magnified in that position! 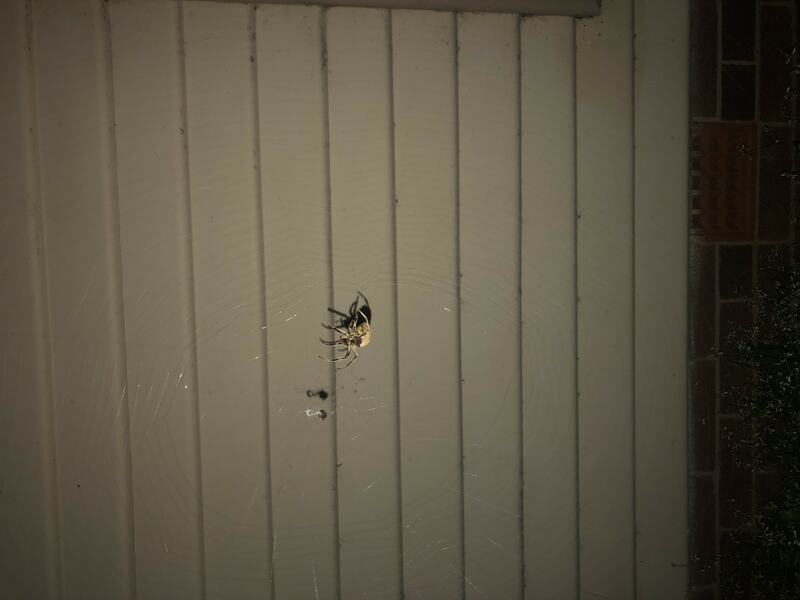 She’s an orb-weaver, the web is characteristic of the group. A photo aimed at the dorsal side of her body would make it easier to identify her . If you have any other photos they can’t be added to this posting, but the can be added as new posts. Please make a note that it is the same spider as before.